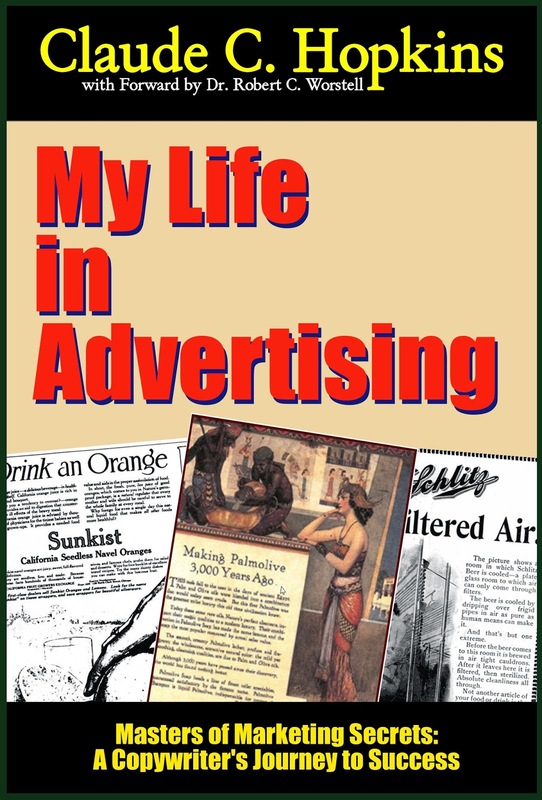 Claude Hopkins - Scientific Advertising: New editions of Scientific Advertising and My Life in Advertising Now In Print! 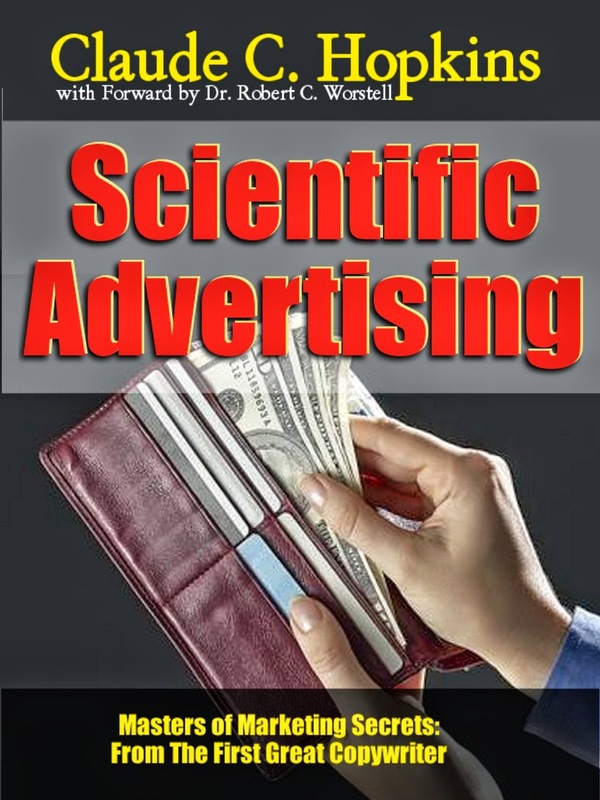 New editions of Scientific Advertising and My Life in Advertising Now In Print! Claude C. Hopkins classics now back in print and available as quality hardcopy and ebook versions. Claude C. Hopkins (1866–1932) was one of the great advertising pioneers. He believed advertising existed only to sell something and should be measured and justified by the results it produced. This book is not written as a personal history, but as a business story. I have tried to avoid trivialities and to confine myself to matters of instructive interest. The chief object behind every episode is to offer helpful suggestions to those who will follow me. And to save them some of the midnight groping which I did. My only claim for credit is that I have probably worked twice as long as anybody else in this field. I have lived for many years in a vortex of advertising. Naturally I learned more from experience than those who had a lesser chance. Now I want that experience, so far as possible, to help others avoid the same difficult climb. Every pioneer should blaze his trail. That is all I have tried to do. I set down these findings solely for the purpose of aiding others to start far up the heights I scaled. Then, with the efforts I here describe, I hope you can now attain some peaks in advertising beyond any of us to date. The time has come when advertising has in some hands reached the status of a science. It is based on fixed principles and is reasonably exact. The causes and effects have been analyzed until they are well understood. The correct method of procedure have been proved and established. We know what is most effective, and we act on basic law. Advertising, once a gamble, has thus become, under able direction, one of the safest business ventures. Certainly no other enterprise with comparable possibilities need involve so little risk. Therefore, this book deals, not with theories and opinions, but with well-proved principles and facts. The book is confined to establish fundamentals. Under these conditions, where they long exist, advertising and merchandising become exact sciences. Every course is charted. The compass of accurate knowledge directs the shortest, safest, cheapest course to any destination. We hope that this book will throw some new lights on the subject. 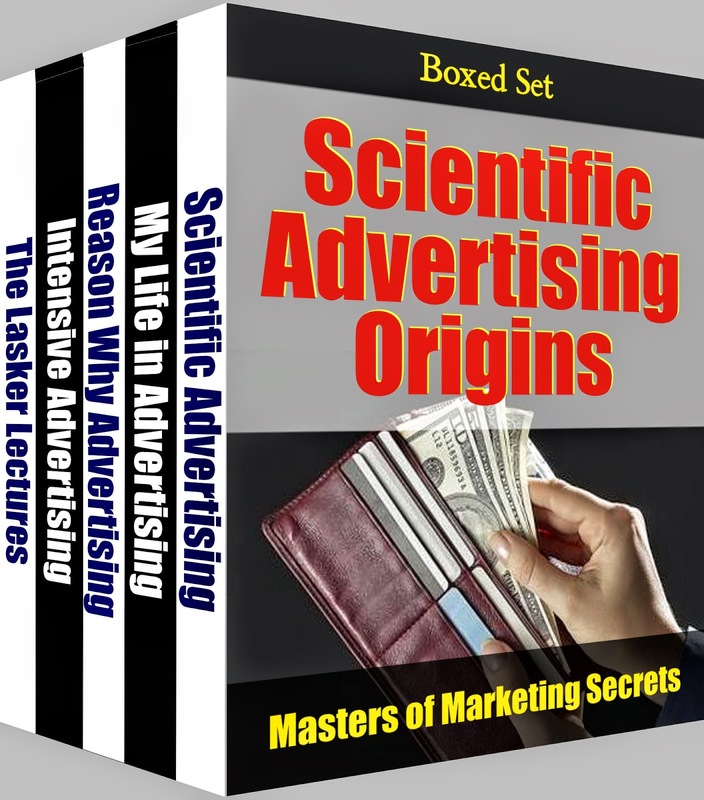 Also available in a bundle: "Scientific Advertising: Origins"
Why all these books and what will you get? Two new (old) books coming out by Claude Hopkins!